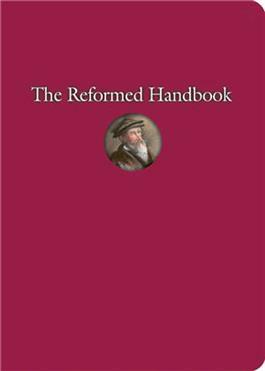 The essential field guide for all things Reformed. This essential field guide for all things Reformed offers a blend of tongue-in-cheek humor and easy-to-read insight—and ensures that we don't take ourselves too seriously! This book takes a fun yet insightful look at all things Reformed. Topics range from lighthearted subjects such as ""How to Survive for an Hour in a Church with a Faulty Furnace"" and ""What to Bring to a Church Potluck (by Region)"" tofoundational topics such as ""How to Be Saved (by Grace Through Faith and Not byGood Works)"" and ""How to Forgive Someone."" Organized into ""ChurchStuff,"" ""Everyday Stuff,"" and ""Bible Stuff,"" it conveys essential principles of the Christian life and uses humor to make the idiosyncrasies of our church culture more accessible. New and long-time members alike will love it. Chuckle on your own or with a group (newmembers' classes, small groups, pre-profession classes). Or give it to someone as a truly one-of-a-kind gift.